Matt is an associate in the firm’s civil litigation group. He assists individuals, corporations and institutional clients at all stages of the litigation process. Matt works diligently to achieve timely and cost-effective solutions to difficult legal problems. Matt graduated from the University of Ottawa’s Faculty of Law in 2016. He was called to the bar of Ontario in 2017. 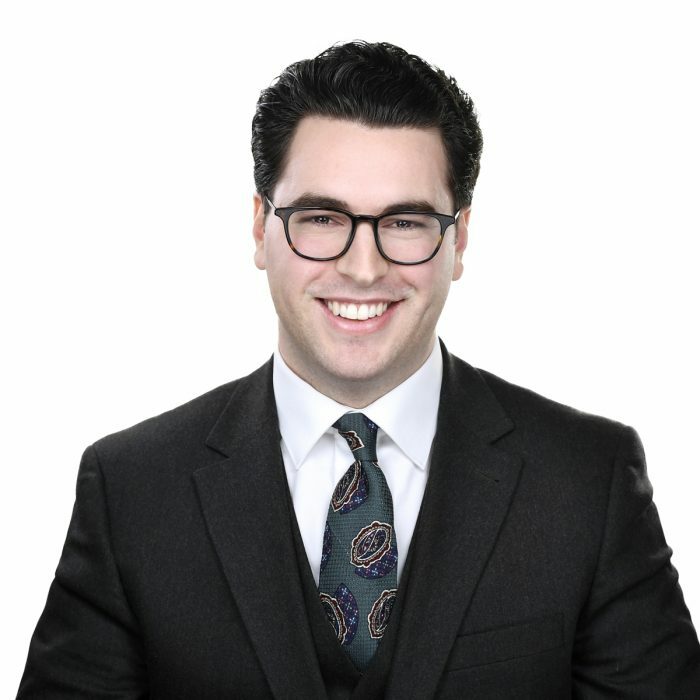 Prior to joining Low Murchison Radnoff LLP, Matt articled and practiced at a prominent civil litigation boutique in Ottawa. Matt is also the author of a chapter entitled “The Duty to Accommodate Drug and Alcohol Addiction in the Workplace” (Disability Politics in a Global Economy: Routledge, 2016). Matt is a member of the Law Society of Upper Canada, the Canadian Bar Association, the County of Carleton Law Association, and the Advocacy Club. In his spare time, Matt enjoys reading fiction, collecting vinyl records and supporting his favourite hockey team, the Toronto Maple Leafs. Prior to his legal career, Matt was an accomplished junior hockey player in southwestern Ontario.